MassMutual’s FUTUREJET video game allows players to fly characters with helmets and jetpacks through FUTUREJET City, collecting power pods while flying over, under and around obstacles as fast as possible. The game promotes the importance of savings to gamers of all ages. As the number of adults who play video games equals or exceeds those who save for retirement, MassMutual is introducing a new way to promote retirement savings: a video game for smart phones and tablets. The FUTUREJET game is available to download for free from the Apple App StoreSM and Google PlayTM app store to anyone who wants to play. The game is being promoted on MassMutual’s RetireSmartSM website for retirement plan savers with a YouTube-based demonstration video. 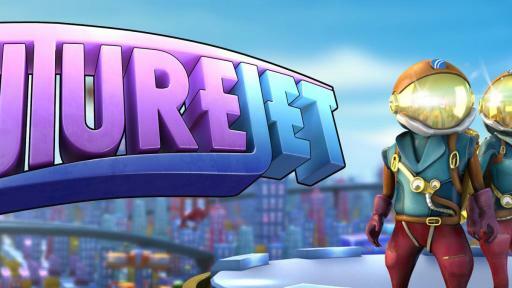 FUTUREJET allows players to fly characters with helmets and jetpacks through FUTUREJET City, whose lights are flickering out due to dwindling energy supplies. The object of the game is for players to collect power pods while flying over, under and around obstacles as fast as possible. Collecting the pods promotes two savings goals: fueling the players’ jetpacks to continue flying in the short term while conserving extra energy to power FutureCity in the long term. Gaming has continued to grow in popularity and now dominates the entertainment landscape, according to Smiley. MassMutual emphasizes connecting with its customers in whatever medium wherever they prefer, including the Internet, email, direct mail, individual and group meetings, and now video games, she said. Increasingly, Americans prefer gaming. The Pew Research Center reported in December 2015 that 49 percent of American adults play video games on a computer, TV, game console or portable device such as a smartphone.1 The percentage of players is nearly identical for men (50 percent) as it is for women (48 percent), according to the Pew. Two-thirds (67 percent) of adults between the ages of 18 and 29 – a significant portion of the Millennial population -- are the most likely to say they play video games, Pew reports. Three-quarters (77 percent) of young men and three out of five (57 percent) young women play, according to the study. Meanwhile, it appears that more Americans may now play video games than save in an employer-sponsored retirement plan. An analysis by the Employee Benefit Research Institute (EBRI) of data from the U.S. Census Bureau shows that 47.6 percent of Americans participate in an employer-sponsored retirement plan2 – nearly two points below those who play video games. The data comes from the 2014 Current Population Survey, the latest available. For more information about MassMutual’s Retirement Services Division, please contact your financial professional or call MassMutual at 1-800-874-2502, option 4. For more information, visit www.massmutual.com or find MassMutual on Facebook, Twitter, LinkedIn, YouTube, Google+ and Pinterest. For information regarding MassMutual’s Retirement Services Division, you may also visit massmutual.com/retire or find us on Facebook.com/RetireSmart and YouTube.com/RetireSmart. Copyright ©2016 Massachusetts Mutual Life Insurance Company (MassMutual) and affiliates, Springfield, MA 01111-0001. All rights reserved.